This is the last year that I am doing my taxes by myself. I take pride in being able to file my taxes and prepared the forms myself. But, those days are behind me now I realize. I need help doing my taxes. 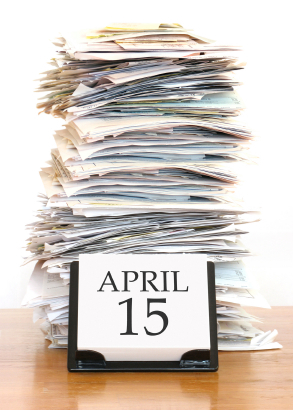 Here are a few of the reasons that you should hire someone to help you file your taxes and complete the forms. You Own Property. If you are buying and selling property, you might need help with your taxes. Your taxes at least are becoming more complex for sure. The more property you buy, the more you can write off on your taxes. You Own A Business. There are a lot of deductions that you can make thanks to business expenses. But, do you know all of them? Do you keep on top of the tax laws? No, you are too busy running your business successfully. You have better things to do with your time. You should hire an accountant or a tax professional to help you. You Own Rental Property. This kind of goes back to the first bullet point. If you own rental property, you can claim depreciation and other things on your taxes that specifically apply to rental property. How far forward can you carry rental losses on your taxes? If you do not know these things, and it is okay not to know, you should hire a professional to help you. A Trust or Partnership. If you get regular income from a trust or partnership, you might need to hire an accountant or someone to help you complete your taxes. You Trade Stocks. Now, I am not talking about buy and hold investors like myself. If you trade investments frequently like a day trader, invest in options, invest in exotic investments, have a complex portfolio, or have a lot of losses, you should get some help on your taxes to help insure that you are protected as much as possible. Major Financial Change. Like when you should have a new will, you should seek out extra help with you have undergone a major financial change in your life. If a change in your personal of family situation has impacted you financially during the previous tax year, such as a divorce, death of a spouse, an inheritance or a move of more than 50 miles for a new job, you can benefit from tax help. Older Children. You should think about getting tax help if you are supporting a child between the ages of 19 and 24 who is a full-time college student. You Don’t Have Time. You should consider hiring someone to help you if you do not have time to do your taxes yourself. 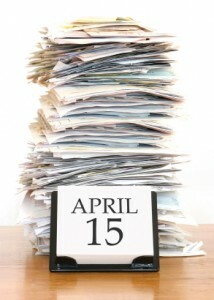 Are you running close to the April 15th deadline? Do you need to file an extension? Let someone help you. Alternative Minimum Tax. You should seek the help of a tax professional if you are subject to the Alternate Minimum Tax (AMT). The AMT scares me more than any other tax law in America. I have heard horror stories from people that have been affected by it, and I only hope that I am never one of them. You Make Mistakes. I am a little embarrassed and ashamed to say it, but I made a mistake on my taxes this year. Luckily, I used H&R Block Online to file my taxes, and they have this cool little computer widget called “Cha-Ching” that gives you a countdown timer for your tax refund. It counts down to when the IRS accepts your refund, and it also counts down to when you should receive the money in your bank account. Well, it also tells you when there is a problem with your return like mine. I have to say….I am very impressed with H&R Block online. It was so simple and easy to use, and it totally helped me out when I made a bonehead move. I am a big believer in competitive advantages, and I have written about it here on the blog before. I am okay with American jobs being outsourced to Asia and other countries because we as an industrial country are not competitive in those industries like textiles, certain farming, etc. But, we are better at other things like technology, software, computers, etc. The same is true in our everyday lives. I do not want to do my taxes anymore because I am not good at them. There are too many tax exemptions, rules, regulations, and loopholes, and I cannot keep up with the changes. But, I’m good at other things. Those are the things that I should concentrate on, not the things I stink at….like taxes. good for you. I have always used a CPA..if there is ever an audit, there is a CPA there to answer questions on your behalf! The reasons you mentioned above are absolutely valid and one should outsource this once the level of complexities gets in the way.